IHL protects all those who are not or are no longer taking direct part in hostilities. In addition to the general protection given to persons hors de combat, IHL provides specific rotection for persons deprived of their liberty. These provisions vary with the type of armed conflict in question and with the status of the person detained. Prisoners of war must be treated humanely in all circumstances. IHL protects them against all acts of violence, as well as against intimidation, insults, and public curiosity. They are entitled to respect for their lives, their dignity, their personal rights and their political, religious and other convictions. IHL also sets out minimum conditions of detention in detail, covering such issues as accommodation, food, clothing, hygiene and medical care. In addition, prisoners of war are entitled to exchange news with their families. A party to the conflict may subject civilians to internment if it is justified by imperative reasons of security. Internment is a security measure and may not be used as a form of punishment. This means that an internee must be released as soon as the reasons that necessitated his or her internment no longer exist. Regarding procedural safeguards, the civilian internee must be informed of the reasons for his or her internment and must be able to have the decision reconsidered as soon as possible by an appropriate court or administrative board and if the decision is maintained, to have it reviewed periodically, and at least twice yearly. The treatment and detention conditions for civilian internees are similar to those for prisoners of war (see above). Civilian internees must be treated humanely in all circumstances. IHL protects them against all acts of violence, as well as against intimidation, insults, and public curiosity. They are entitled to respect for their lives, their dignity, their personal rights and their political, religious and other convictions. IHL also sets out minimum conditions of detention, covering such issues as accommodation, food, clothing, hygiene and medical care. Civilian internees must be allowed to exchange news with their families. Common Article 3 provides that persons detained in the context of non-international armed conflicts must in all circumstances be treated humanely, without any adverse distinction. It also provides for fair trials affording all essential judicial guarantees. Common Article 3 is complemented by Articles 4, 5 and 6 of Additional Protocol II. These provisions contain: 1) fundamental guarantees (e.g. prohibition against violence to the life, health and physical or mental well-being of persons); 2) specific protection for persons whose liberty has been restricted, whether they are interned or detained, for reasons related to the armed conflict (e.g. women must be held in quarters separated from those of men and must be under the immediate supervision of women, not men); 3) protection for persons facing prosecution and punishment for criminal offences related to the armed conflict. It is worth recalling that these provisions, in the same way as common Article 3, are equally binding on States and organized non-State armed groups. Also, like common Article 3, Additional Protocol II does not grant a special status to members of the armed forces or of armed groups who have fallen into enemy hands. There is no prisoner-of-war status in non-international armed conflicts. This is why the provisions establishing minimum guarantees for persons deprived of their liberty are so important. The protection afforded to persons deprived of their liberty is less detailed and clear in non- international armed conflicts than in international armed conflicts; the IHL provisions in the latter case are also more numerous. For instance, the rules on the material conditions of detention during noninternational armed conflicts are not detailed; and procedural safeguards for internees are also lacking. For these reasons, protection for persons deprived of their liberty in non-international armed conflicts has been identified by the ICRC as an area in which the law should be strengthened. 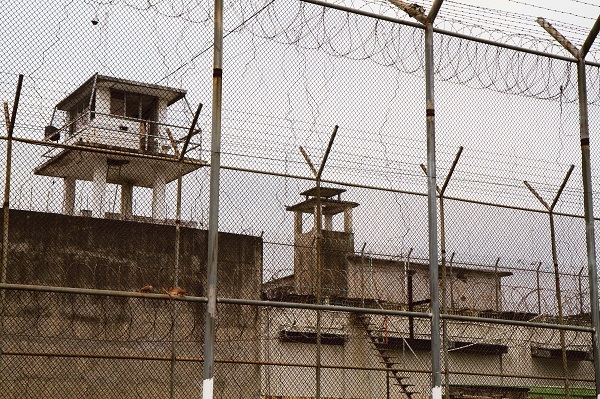 The two main forms of long-term detention in armed conflicts are internment, i.e. administrative detention for security reasons, and detention for the purposes of criminal proceedings. – Internment is the term used in IHL to denote the detention of someone believed to pose a serious threat to the detaining authority’s security, without the intention of bringing criminal charges against that person. – Detention for the purpose of criminal proceedings is the deprivation of liberty to which a criminal suspect may be subjected, lasting until final conviction or acquittal. Hostage-taking – the seizure or detention of a person (the hostage), combined with threats to kill, to injure or to continue to detain the hostage, in order to compel a third party to carry out or to abstain from carrying out any act as an explicit or implicit condition for the release of the hostage – is prohibited.